The Indian Valley YMCA is seeking a dynamic, passionate, and capable individual to help lead our successful team. The Indian Valley Breakers is a USA Swimming/YMCA year round competitive program typically numbers 160 or more swimmers and we plan to grow and get faster! We have swimmers from development level to swimmers very close to YMCA national cuts. We are part of the Greater Hartford YMCA offers five different swim team, providing serve for more them 700 swimmers, participating at YMCA National every season. Some part time jobs are available with other branches. Under the supervision of the Aquatic Director, the Head Swim Coach will be responsible for carrying out the overall purpose, goals, objectives and philosophies of the YMCA of Greater Hartford and the YMCA of the USA. The Head Swim Coach should be ready to take the Swim Team Program to the next level. The Head Swim Coach should greet everyone by using names whenever possible; extend thanks whenever appropriate; make relationship building their number one priority at all times. The Head Swim Coach is responsible for ensuring that the mission, purpose, image and core values of the YMCA of Greater Hartford is always conveyed. Develops, organizes and implements high quality, member-focused YMCA competitive swimming programs. 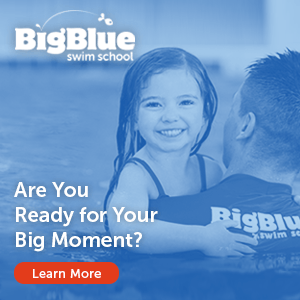 Provides a quality experience for everyone, including but not limited to swimmers, swim team parents, members of the Indian Valley YMCA, fellow staff members, vendors, and others. Treats everyone with courtesy, respect and consideration; displays integrity; listens actively and genuinely; communicates in a clear and pleasant manner; embraces differences among people; demonstrates an active willingness to learn and grow; accepts constructive criticism; and works cooperatively as a team member. encourages habits that foster a strong community and team spirit that is consistent with YMCA core values. Understands and completely adopts the Team Philosophy. Then ensure that the (often rotating) board members, assistant coaches and parents all understand and model it as well. or coaches, vote in line with the coach philosophy and other association coaches. records of staff certifications are current and complete. possible to coaching staff and volunteers. Develop and implement an appropriate training program, practice schedule and meet schedule for the entire coaching staff and team. Ensure that all other programs and schedules are appropriate for the age, and adhere to the Team Philosophy. are addressed within a timely manner. Proficient using Team Unify, Hytek Meet Manager and Microsoft applications. Monitors program budget to meet fiscal objectives. Is knowledgeable of daily pool operations to adhere to all state, local and YMCA health and safety regulations. Collaborates within the YMCA Aquatic Dept. to properly schedule pool facilities for all competitive swimming activities. Coordinates all contracts for outside competitive swimming programs that utilize Countryside YMCA facilities. 21 years of age preferred. Up to date in USA and YMCA coaching credentials preferred, or ability to obtain with 30 days or less. Proficiency in Hy-Tek and Team Unify. Must possess the knowledge and ability to teach all competitive strokes, rules and regulations to team members. Must be able to plan practice sessions and swim meets, bring creative programming ideas to the team, maintain equipment and show a responsible attitude toward the team. Must adhere to established YMCA Youth Sports philosophies, goals and objectives. In addition to the above requirements, it is expected that the Head Swim Coach will bring to his/her position maturity, responsibility, positive values and sincere interest in working with people and shaping young athletes. Completion of YMCA program-specific and trainer certifications.